When I went grocery shopping with a dear friend recently, I found myself in an indecisive mood. I’d ooh and ahh at an item, put it in our cart, then soon mumble hesitantly and put it back on the shelf. This time, one of those items was a box of really nice butter. I knew it would taste wonderful, but I could live with more standard butter, and goodness knows, I go through it fast. When I got home, I found a block of the deluxe butter nestled between my raspberries and Brussels sprouts. No, I hadn’t bought it by accident; my sweet friend had shared it with me as a gift! It was one of the many gestures that illustrates my her generosity and thoughtfulness, making me feel uplifted and excited at once. My dad was due to arrive the next afternoon, and sitting on my counter was a beautiful bottle of artisanal basil infused brandy that my husband had brought home a few days before. As the combination of delicious items began calling to me, I remembered dad’s favorite cookie: shortbread — a rich treat that always showcases its creamy main ingredient. Before I knew it, I’d started making him a tin of cookies using my special new butter and a glaze made from the liqueur. Alongside the two, I’d add a bit of fresh basil and a burst of raspberries. 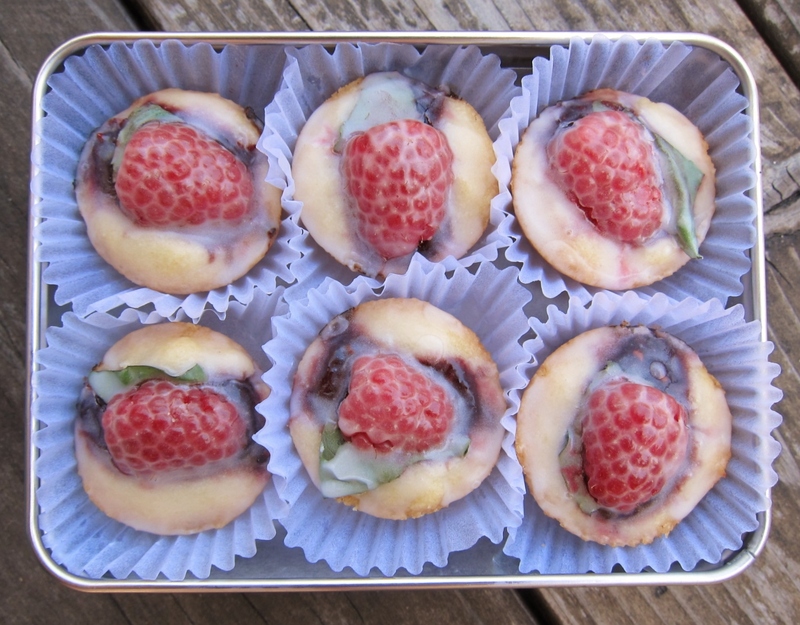 The result was a delicious, decadent gift. Here is the recipe. Preheat oven to 325 F. Grease mini-muffin pan(s) well; set aside. * Mix by hand the butter, flour, sugar, and salt if using. Use hands to knead the dough until it’s smooth and sticks together. Shape into balls a little smaller than a tablespoon each (about .5 – .6 ounce a piece), and press into greased mini muffin pan. Use your thumb or the back of a spoon to make an indentation in each cookie, then fill each dent with a little less than a teaspoon of preserves. Try to avoid letting much of the preserves touch the edges of the pan; do not overflow. Bake for 20-25 minutes. The preserves will be bubbling and edges of cookies have become toasty brown. 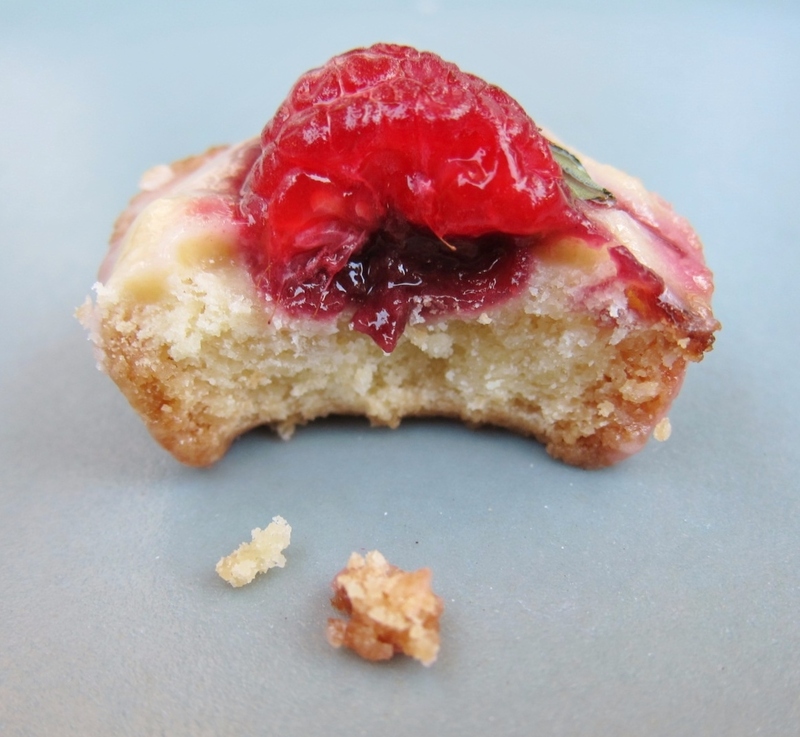 As soon as you’ve removed the cookies from the oven, place a snippet of basil and a half raspberry in the sticky center of each, pushing down gently. Use caution, as cookies and pan will be hot. Let cool in pan for about 15 minutes, then remove (I found it easiest to wedge a butter knife gently between each cookie and the pan; they popped right out.) Transfer cookies to a rack. Whisk the egg white in a large bowl and sift the powdered sugar over it. Keep whisking as you pour the brandy into it, mixing well, until smooth and even. Spoon 1-2 teaspoons of the glaze over each cookie. Let glaze dry completely before transferring them to an airtight container — or simply devouring them. 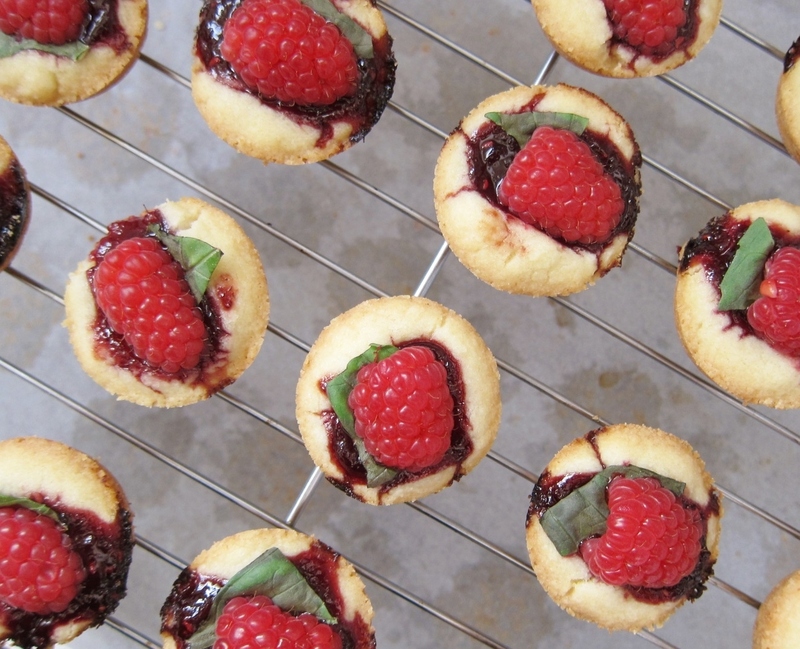 Rich and buttery with a surge of raspberry in each bite, these succulent shortbread are a refreshing twist on a classic cookie. 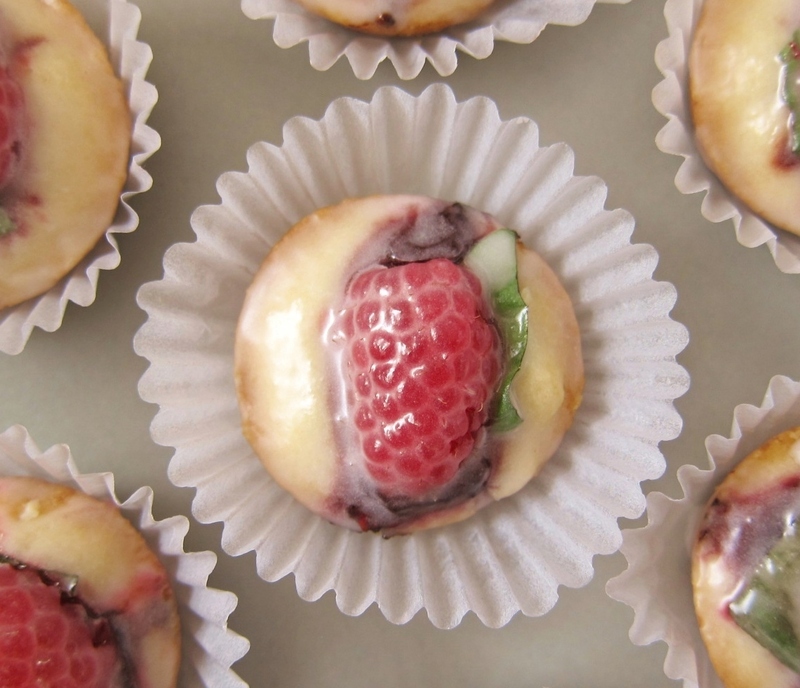 The fresh basil leaf and brandy glaze offer a welcome hint of herbal flavor, while the crisp base melts in your mouth with decadent deliciousness. I love knowing that these cookies started with a gift and ended as a gift, but there is one problem: I failed to save any for my butter-giving friend! 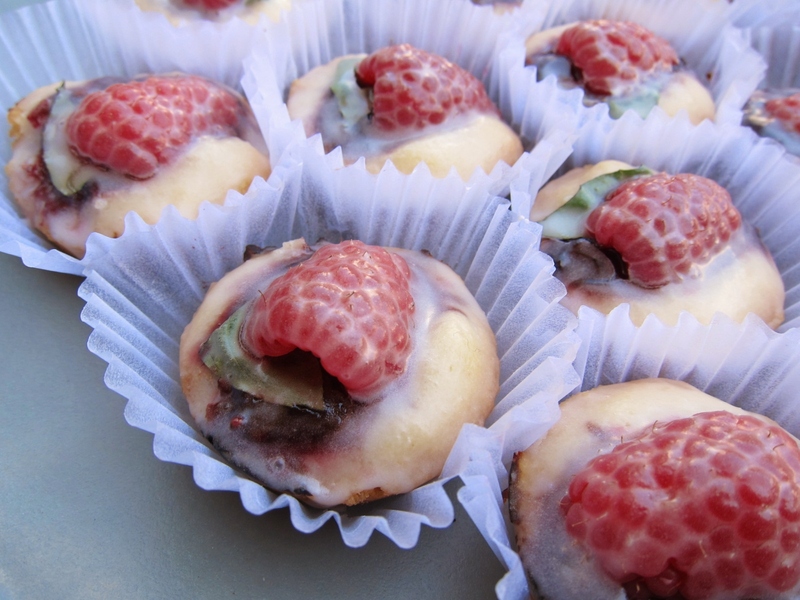 Thankfully, I’m already itching to make these again, and especially to share them. 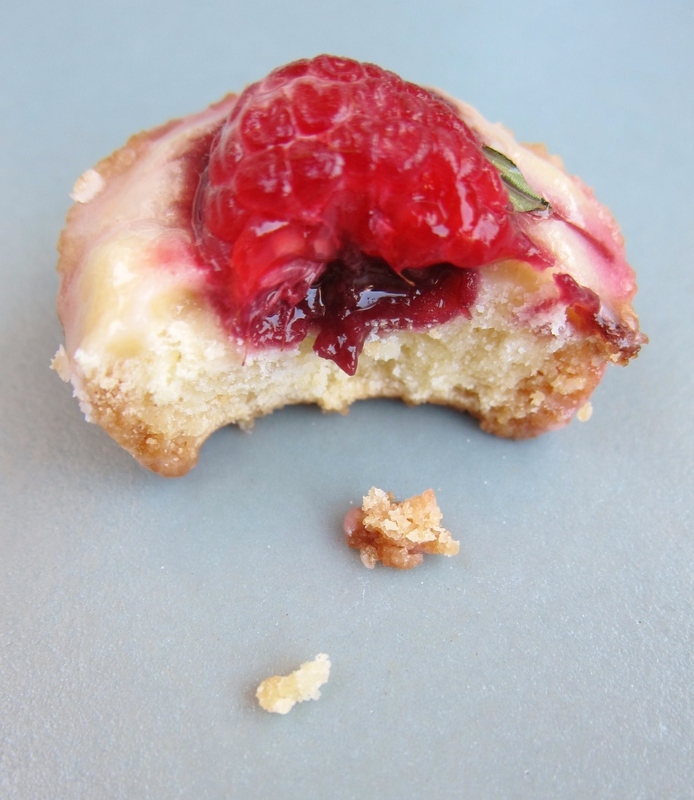 *Maybe next time… If you don’t prefer raspberries, I’m confident that almost any berry and preserves would work well in these cookies. I suggest choosing a tart fruit to uphold the recipe’s complementary flavors. Likewise, a different alcohol would work in the glaze, or a juice such as lemon or orange if you want to skip the booze. 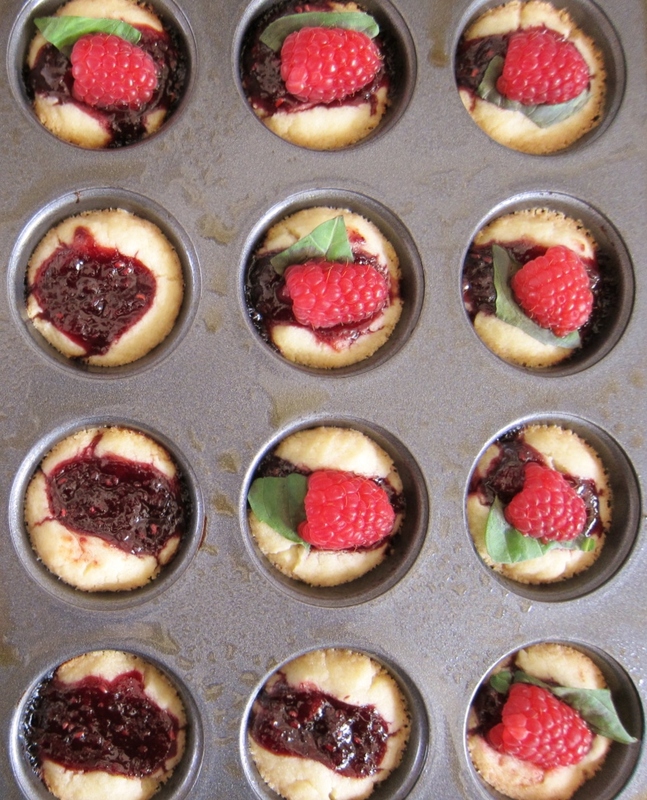 Finally, I chose to use a mini muffin pan to let the shortbread shape into a sturdy base for its toppings, but you don’t have to use one. Instead, place the dough balls on a parchment lined cookie sheet, leaving a couple of inches in between each, and press an indention into the center of each. Fill with preserves, then freeze the sheet for 15-20 minutes. Bake as instructed above, adding a few extra minutes to make up for the coldness of the dough. This entry was posted in Baking with Booze, Baking with Herbs, Cookies & Bars, Sweets and tagged baking, baking with booze, baking with herbs, basil, booze, boozey, boozy, brandy, cookies, dessert, grassfed butter, kerrygold irish butter, raspberries, recipe, saint george spirits, shortbread, st. gerorge spirits. Bookmark the permalink. Thank you, dear Cameron! Yes — some splurges are certainly worth it. In fact, I already went back and bought myself a fresh supply of the deluxe butter! 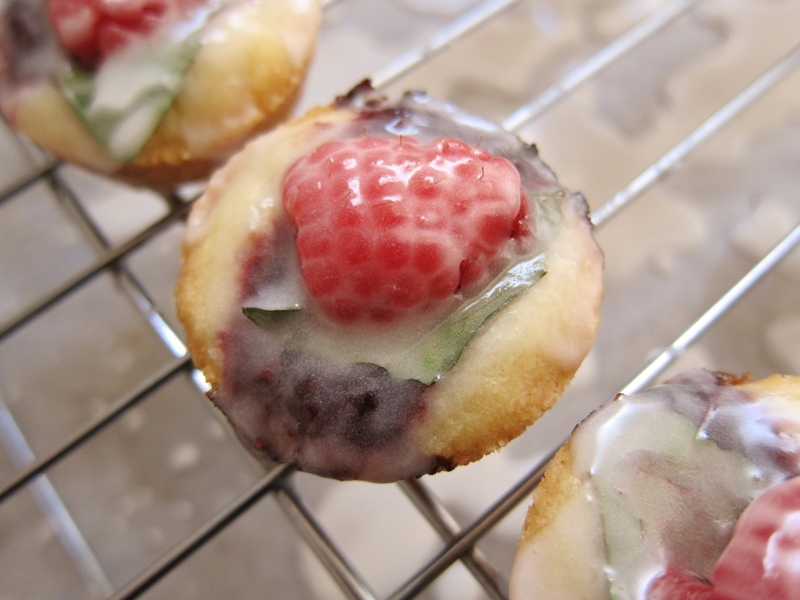 These are so pretty; I love the way the raspberry in each cookie looks so shiny and lacquered. Also, that basil-infused brandy sounds amazing (where did Jacob find this? St. George Spirits?)!! P.S. Your father is adorable. I loved his comment. Thank you, Katy! The brandy is St. George’s, but Jacob found it at Ledger’s on University. (Apparently their selection is unbeatable.) I love baking as celebratory gesture, and you certainly have some big reasons to celebrate! That was such a very nice thing for your friend to do for you – so very generous and thoughtful. Like you are with your friends as well. Love, E.
Thank you, dear E. Certainly you are the same kind of friend, too!� I really appreciate you taking the time to share your ever kind words here.